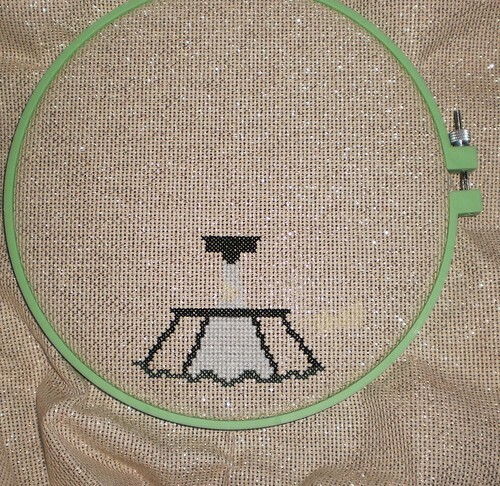 As I was waiting for the dowel to be cut to finish off the banner, I took along my next cross-stitch Christmas gift project. 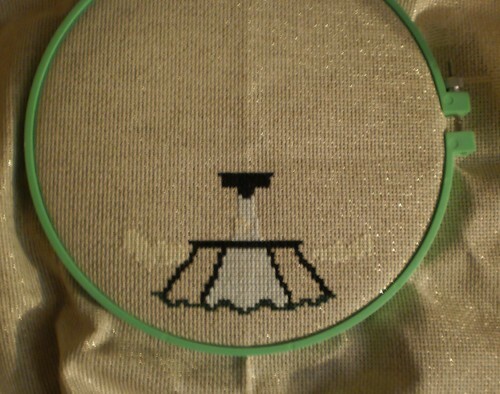 There were a few hours of down time, where we all just sat and they checked their email and I cross-stitched. Doesn't look like much. Monday's stitching. Still doesn't look like much although this might be a skirt of some sort. I worked a bit more on it last night. While a bit blurry, the photo shows the two very light yellow patches on either side of the skirt. 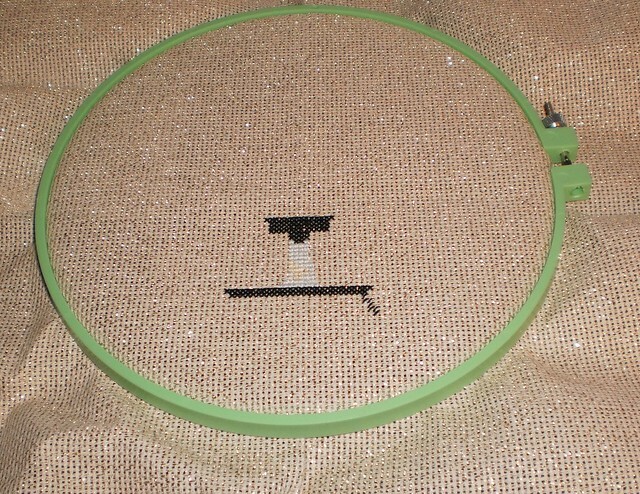 As I mentioned in a previous post, this is an all full cross-stitch pattern I'm doing. The yellow patches are at the widest this will be. It's going to go fast.